The shipment of bison from Stephens Creek Bison Capture Facility began today. The fate of 40 bison wanted by the Fort Peck Indian Reservation may be decided today. Annual operations at the Stephens Creek Bison Capture Facility are gearing up—but some officials are saying a change is necessary. Officials in Yellowstone National Park say 900 bison would need to be removed to curb the herd’s growth. 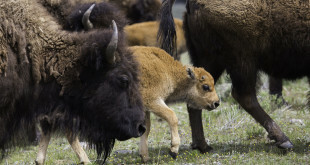 A new collaboration between Colorado State University and the Minnesota Zoo aims to get Yellowstone bison genes circulating in a new herd. Bison operations have ended today and the final numbers are incoming. The deadline for public comment regarding a potential bison quarantine program has been extended.